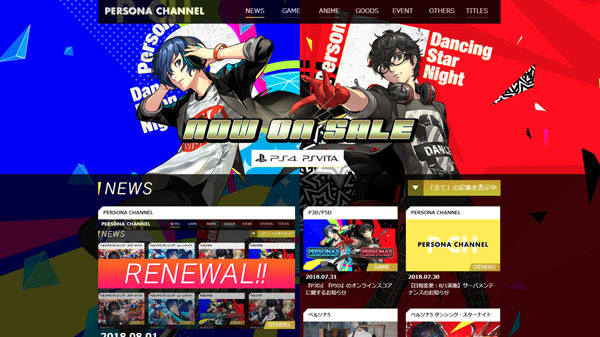 Atlus has relaunched the Persona series’ official Japanese website, Persona Channel. Persona Channel offers the latest information on Persona-related games, anime, goods, and events. The latest entries in the Persona series, Persona 3: Dancing in Moonlight and Persona 5: Dancing in Starlight, launched for PlayStation 4 and PS Vita in Japan on May 24, and are due out in the Americas and Europe in early 2019.